I spent the last weekend of Battle Roads continuing my testing of Blastoise. The first day I played a Turbo Keldeo EX version with teched Cresselia, with three close losses – going up 4 prizes on big basics and then dead drawing, losing to a top deck catcher against Darkrai, and falling one Water short of scoring the final KO in a Blastoise mirror. The second day I played a more standard Black Kyurem EX version of the deck at the giant Battle Roads at Yeti Gaming. I dead drew every single game, but still managed to go 5-1 for 4th place with my only loss being to an autoloss of Klinklang at the hands of Colin Moll (Blastoise was the only non-EX attacker I played that day). 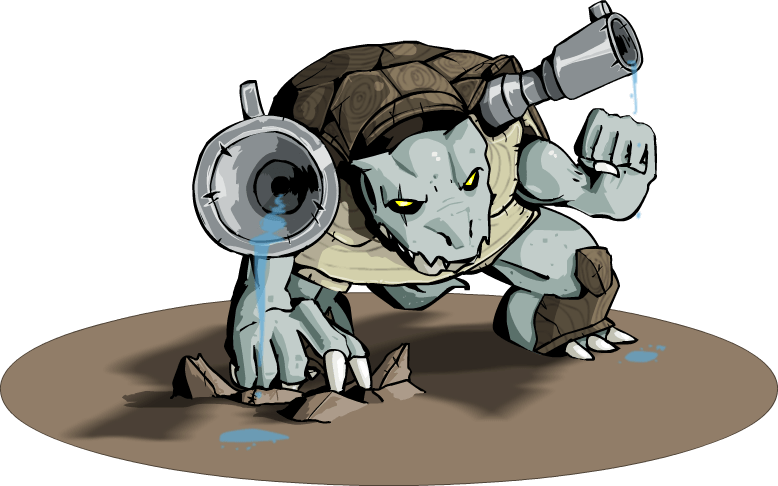 Black Ballista is simply the strongest attack in the game, and with Secret Sword being strong as well the comeback potential of Blastoise is incredibly strong. Most importantly, through my three Battle Roads with Blastoise I was able to gather all the information I needed about the deck to make the tough determinations on what the optimal list of Blastoise looks like. Anything you can do to prolong your EX’s will be very strong in this format with most decks that aren’t the mirror match or Rayquaza/Eelektrik depending on a 2HKO game against Blastoise. So with that said, an extra turn of preventing your opponent from taking two prize cards on your EX’s is huge. This is especially true with Black Kyurem EX, who provides the deck most of its comeback potential. Take this situation against a Darkrai deck. If you manage your bench correctly, a Darkrai deck will never be able to OHKO your Black Kyurem EX. So turn one, you drop your Black Kyurem EX, use Black Ballista for two prizes. They respond with Night Spear for 90-140. You max potion away that damage, and use Black Ballista again for two more prizes. 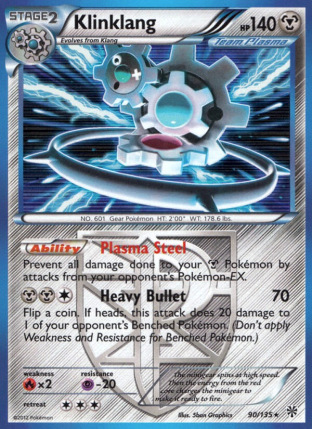 They can then Night Spear you again for the same damage numbers, short of a knockout, and your Black Kyurem EX can use Black Ballista again for two more prizes. When you have an attacker with OHKO potential like Black Kyurem EX, a single Max Potion will go along way. This not only applies to the Darkrai matchup, but also against Plasma and Big Basics where they won’t have the means to OHKO your attackers. The card is also good in the early game, as often you will setup a turn or so slower than the other decks, so Max Potion allows you to remove that damage from turns 2/3 and essentially reset the game to an equal game state once you’ve setup. Observation #2 – Energy Search is really good. 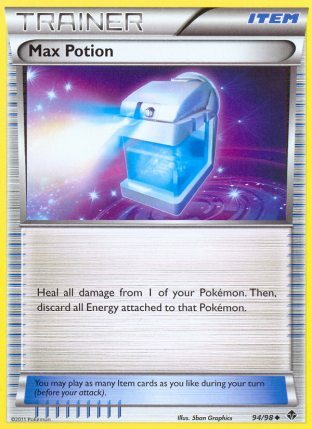 At first, I started just by playing three Lightning Energy and going with that as my alternate Energy line. After the first Battle Road, I swapped out a Lightning for an Energy Search and have never looked back. 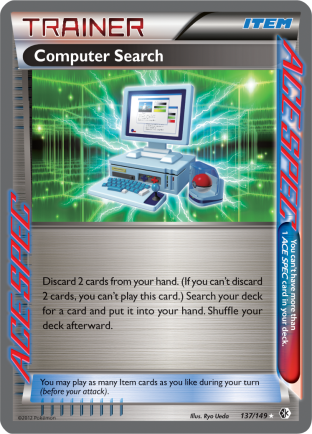 Energy Search helps you thin your deck more as you’re taking two cards out of your deck as opposed to one, while generally having the same effect on your strategy. When you have Skyla and Tropical Beach in hand to start the game, you can Skyla for an Energy Search to get the Lightning in the discard early to be Super Energy Retrieval’d when you do have Black Kyurem EX ready to go. There are also those awkward situations where you need one more Water Energy instead of a Lightning for a knock out with Secret Sword. Energy Search gives you an out in these situations when you draw that instead of what would have just been a third Lightning Energy. Additionally, if your further tech your deck, say put in a Fire attacker to help with the Klinklang matchup, then Energy Search can help you find that single tech Energy card to go along with your attacker much more easier than just hoping to draw into it at some point. I love Dowsing Machine. In general, it is the strongest Ace Spec in the game for most decks. Unfortunately, Blastoise isn’t one of these decks, although Dowsing Machine is strong as it provides Blastoise with many more options as far as strategy for dealing with particular matchups. In the Battle Roads I dead drew every game, I played 15 combined Supporters and Tropical Beach, so that’s not something you should dead draw with often, but I still managed to do so. In a few of these games I had Dowsing Machine in hand early, and if it were Computer Search I would have had an out to get going. One thing that has become abundantly clear to me about Blastoise is that the deck has extreme comeback potential. So why rely on having comeback potential, when you can just setup faster with Computer Search and proceed to obliterate your opponent? As silly as it sounds, just having that one card that can turn into either a Blastoise or Rare Candy without being a Supporter has a huge impact on how fast this deck sets up. Additionally, it gives you another out to Tropical Beach on the first turn, which also helps the deck setup faster. Observation #4 – Exeggcute isn’t that good. For all of the Battle Roads I played the deck, I played a single copy of Exeggcute. In these Battle Roads, E xeggcute only hit the discard pile in about half of my games, even in the Battle Roads where I put in a Level Ball to help search out Exeggcute earlier in the game. This had little impact as it would often make more sense to search a Squirtle out with the Level Ball than it did for Exeggcute. 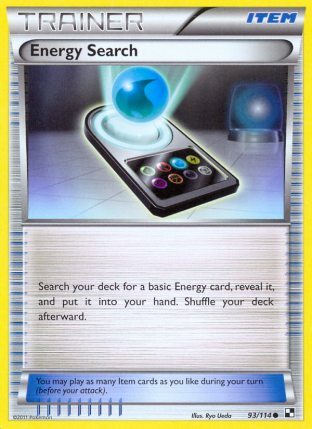 It is a fact that you can do much more with your hands when Exeggcute is in the discard pile, but the deck is able to operate to its full potential even when you have to discard two cards with Superior Energy Retrieval or Ultra Ball. Additionally, it feels like the deck runs a lot smoother with the double discard instead of a single discard. It just helps thin the deck more and get unwanted cards out of the deck for the late game. You do have the option to ignore Exeggcute, and just discard two cards from your hand even when Exeggcute is in the discard, but if you’re going to be doing this anyhow, why go through the trouble of putting Exeggcute in the discard to begin with? 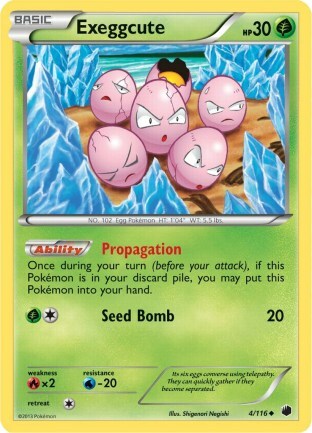 Most importantly, Exeggcute takes up a space in the deck. I think this spot in the deck is much better suited for something like Max Potion or another Water Energy. Observation #5 – You need to be prepared for Klinklang. I am of the strong belief that Klinklang is still a very strong deck that has favorable matchups against Plasma, Darkrai, Big Basics, and Blastoise. As those are some of the most played decks in the format, it only makes sense that the deck will be able to thrive come U.S. Nationals where the meta game will be composed heavily of all of those decks. What does this mean as far as these decks go? At some point during top cut at Nationals you will probably have to face this deck. So with that said, are you comfortable with your Nationals run ending when you inevitably have to play this deck in top cut? I know I’m not. And for that reason, I feel like a tech is necessary to help this deck compete with Klinklang. I think stuff like Keldeo and Kyurem PLF are nice and all, but they probably won’t get the job done for you, and will just annoy the Klinklang player a little bit. I think a hard Fire tech will be necessary to consistently take down Klinklang with this deck. The three Fire techs I had in mind to counter the deck are Reshiram PLF, Victini NVI 15, and Moltres NXD. The idea behind Reshiram was to eliminate all of the Plasma Klinklang, and then go back to Black Ballista to finish the game. I went away from this one because I felt too often you would whiff the Catchers, which would just lead to the Klinklang player being able to Max Potino off the 160 damage when you have to attack into their attackers. I then moved on to Victini, as it could attack into either the attacker or the Klinklang. Additionally, with two Energy for its attack cost, a single Superior Energy Retrieval could give you the Energy to use V-Create and Rush In Retreat. Unfortunately, I think Victini is too fragile, with a two Energy Energy Press with Cobalion NVI being enough to knock it out. 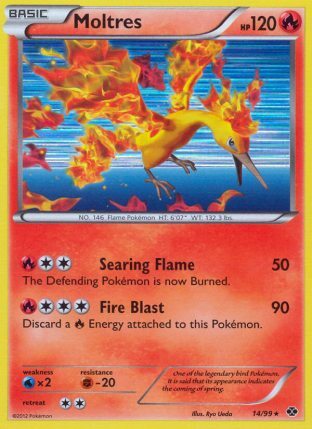 From there, I reluctantly moved onto Moltres NXD, which I didn’t want to do because I felt using a Superior Energy Retrieval to get back the discarded Fire Energy was silly, but I think it’s the right play. At 120 HP, it is sturdy enough to survive two turns against Klinklang, and it can OHKO either the attacker or Klinklang. With Max Potion in the deck now, I can Max Potion any damage off of Moltres and be in a position to take six prizes on their EX’s with just a single Moltres. I think with that, I have hit on all of the important things that were in a gray area for me, and I’m sure others regarding Blastoise headed into US Nationals. I think at this point there is about a 90% probability that Blastoise/Keldeo EX/Black Kyurem EX/Moltres NXD will be my deck choice for Nationals. The other deck I am testing is a Hypnotoxic Laser version of Zekrom/Eelektrik, which I have had solid results with, but I think Blastoise is a much stronger deck than that and will probably just stick with Blastoise.